With a layout inspired by English villages, Serenbe is a thoughtfully planned development that features preserved forests, meadows and a working farm. Located just outside Atlanta, with miles of pedestrian trails that make it faster and easier to walk places than to drive. Homes have front porches to encourage neighborly interactions, and the area boasts restaurants, art galleries and other businesses. In fact, the entire setting is so unique and inspiring that is was featured on CBS Sunday Morning. 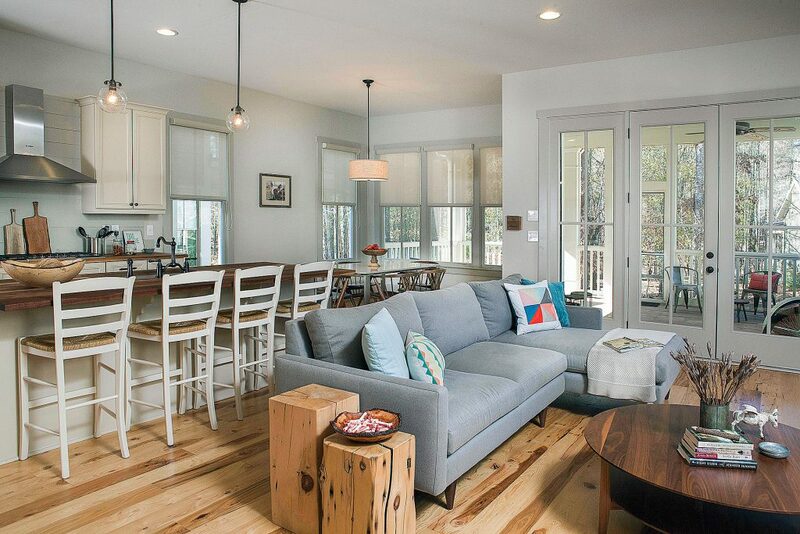 Thanks to a longtime customer, we are able to share a peek at the Serenbe lifestyle. The Jasper sofa with chaise provides a comfortable spot to relax and visually separates the living room from the kitchen and dining area. 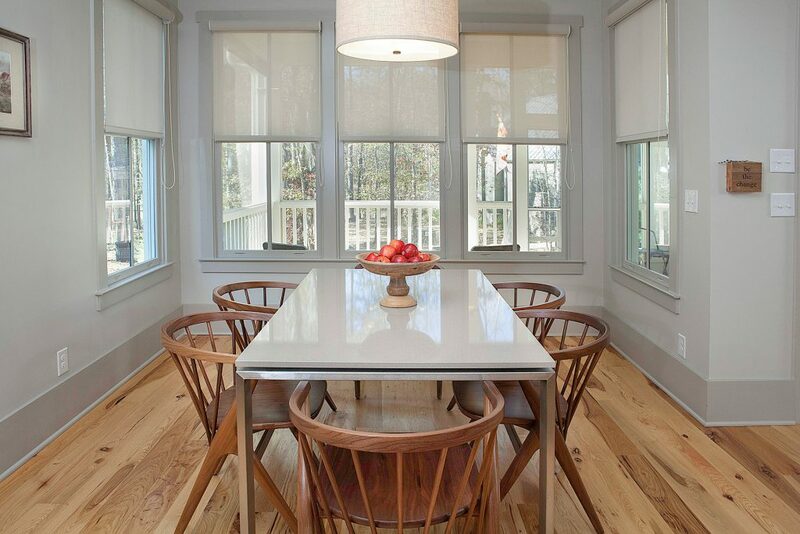 The floating top of the Rand dining table is a sleek contrast to the wood floor and Soren chairs. A mix of materials, from stainless steel to glass, pulls together the room beautifully. 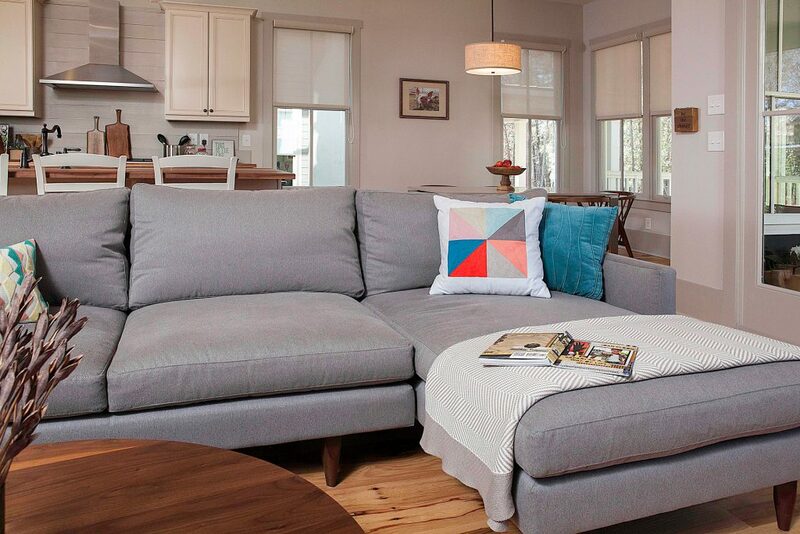 When choosing furniture for her home, Susan wanted to create a space that felt pretty, inviting and comfortable. “I’ve shopped at the L.A. store and knew I’d find the clean lines and simplicity I was looking for at Room & Board,” Susan says. “I didn’t want anything ornate or heavy.” She worked with Design Associate Sandra Pawliger when selecting furniture for her new home. “As a second home for Susan and her family, she was looking to balance style and function in a way that married her California aesthetic with Serenbe’s farm village appeal,” share Sandra. “She had a really great grasp of the types of pieces she needed for this home, but was looking for guidance in targeting which collections and finishes to consider.” Susan was familiar with Serenbe’s New Urbanist design concept, which helped her further understand the types of furniture that would fit within the home and the area as a whole. 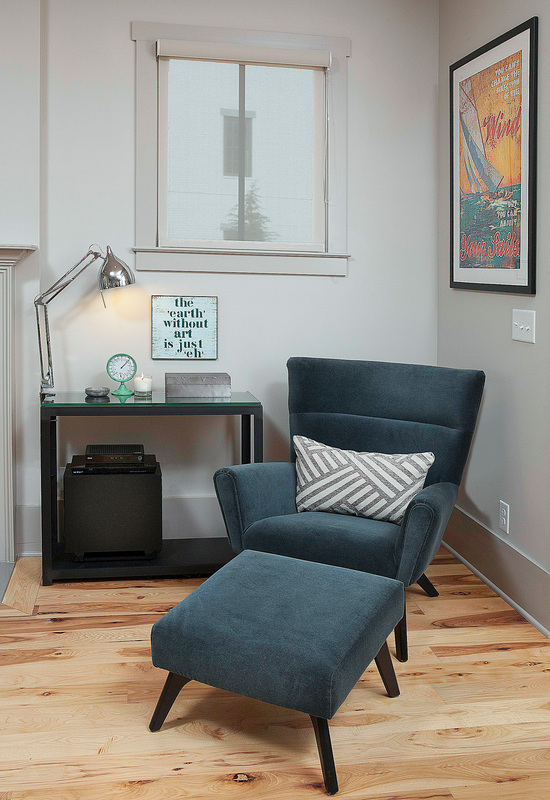 A Boden chair and ottoman create an inviting nook, perfect for reading. 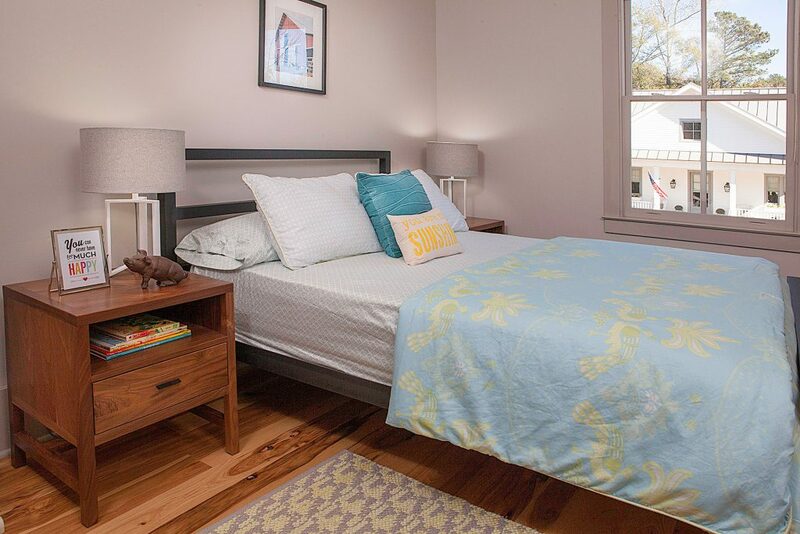 Muted colors add a calming backdrop to this bedroom, which features a Copenhagen bed and Delano nightstand. 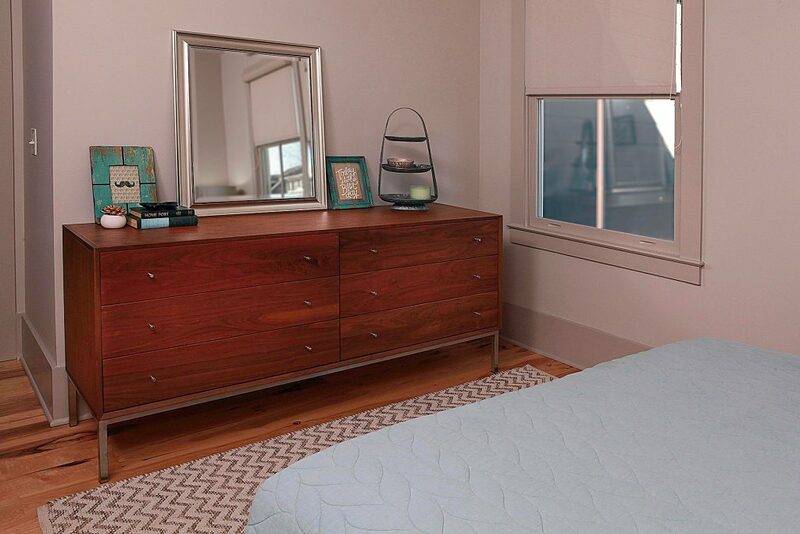 This Delano dresser provides beautiful storage in a mix of materials. A natural steel Parsons bed makes a sleek statement in this bedroom. 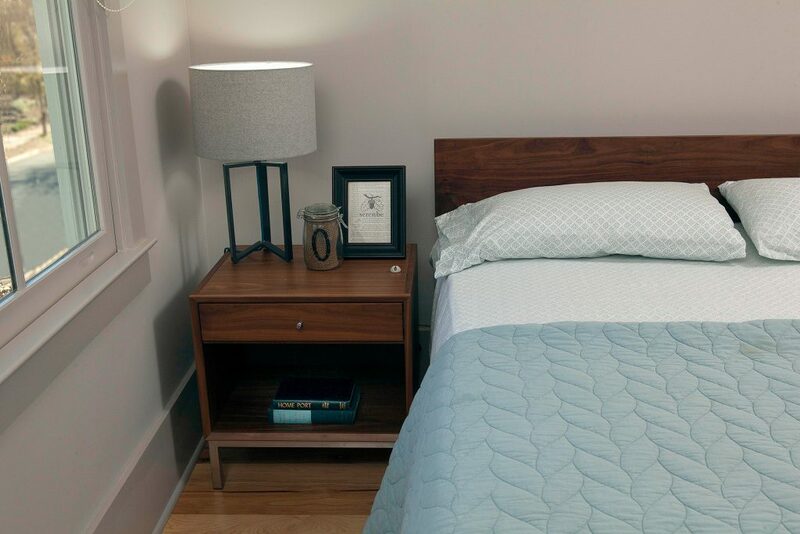 Its clean lines are echoed by the solid wood Berkeley nightstand.